It might have been a graphically unimpressive game, but E.V.O. : Search for Eden was an impressively original and deep platformer with clever RPG elements and a unique mythology. It also is a highly collectible and definitely rare SNES cart these days, meaning you should probably be interested in this E.V.O. 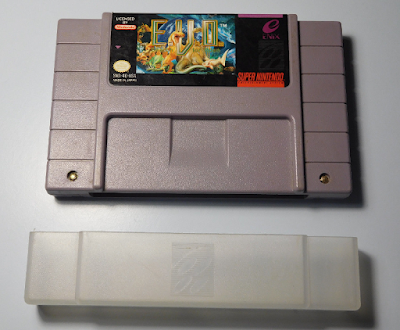 : Search for Eden (SNES) eBay auction. The cartridge for the US, NTSC SNES has been tested and is working. Seller ships worldwide.